Born in Johannesburg, South Africa, Jacqui holds a BMus degree from the University of Pretoria. She has extensive experience as principal cellist in numerous orchestras, including the South African National Youth Orchestra, the Commonwealth Youth Orchestra, and the Johannesburg Festival Orchestra. Jacqui performed as principal cellist with the former Adelaide Art Orchestra for many years, and is often the principal cellist for various orchestras in Adelaide. She was a member of several other orchestras in South Africa, including the New Arts Philharmonic in Pretoria, the National Symphony Orchestra of South Africa, and the Johannesburg Philharmonic Orchestra. Jacqui has also enjoyed the privilege of performing with many other great artists, such as the Three Tenors, Sir Yehudi Menuhin, Joshua Bell, Luciano Pavarotti, Josh Groban, James Morrison, Michael Buble, Kristen Chenoweth and Idina Menzel. She has performed in many musicals, including “South Pacific”, “Matilda the Musical” and “Wizard of Oz”. Jacqui will be playing in the Adelaide 2019 season of “Aladdin”. A great lover of chamber music, Jacqui has played with many groups in Adelaide, in particular as cellist of the Amicus String Quartet. In addition, she appears as a recording artist on various South African recordings, including the Salon Music CDs Polka, Trumpet Dreams and Café Society. In Australia, she has recorded for The Edge Church and some television advertisements. 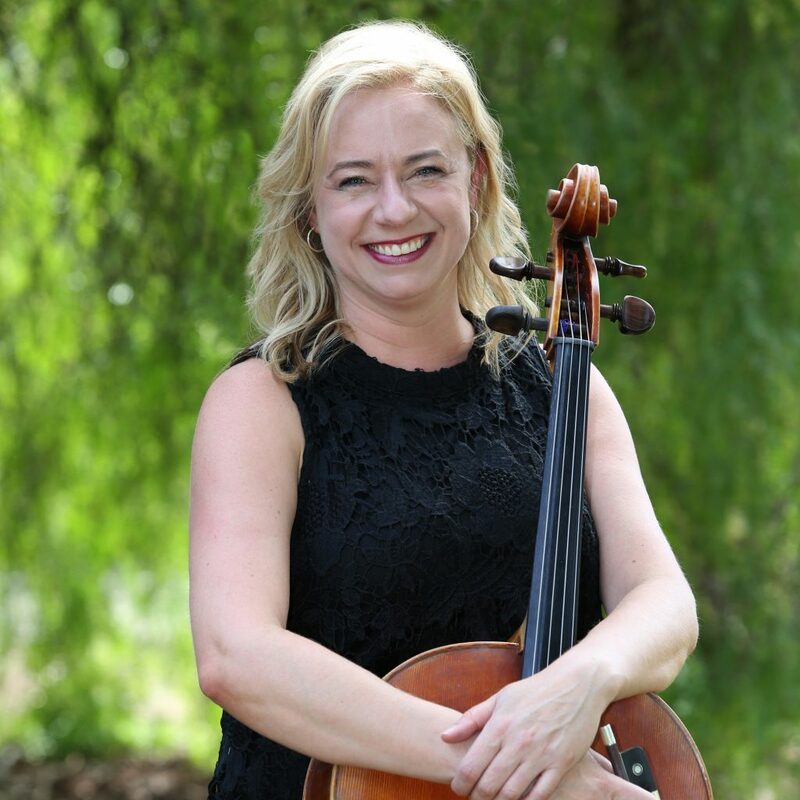 In addition to Jacqui’s performing commitments, she is a committed cello teacher and ensemble director, teaching at her home studio and at various top private schools in Adelaide, including Wilderness School, Immanuel College, St Peter’s College and Westminster School. She often serves as a member on audition panels for the various groups, including the Adelaide Youth Orchestras and South Australia music camp. She loves tutoring the cello sections of these groups and sharing her passion for performing. Jacqui is also an examiner of cello for the Australian Music Examinations Board. Jacqui relocated to Adelaide with her family at the end of 2009. She is married to trumpeter Robin Finlay and they have two daughters, Kita and Kayla, both eager musicians in their own right.